We offer professional specialized services to assist you with the process of change. We ARE the area's specialized Estate Sale Company! 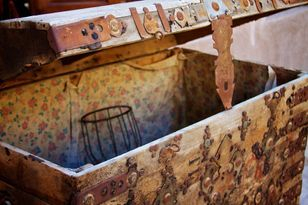 downsizing, moving, divorce, retiring, or the passing of a loved one. to meet your needs and schedule. Our goal is to assist you any way we can. Questions? How can we help you feel more at home? or ... send the contact form below with your inquiry. We respect the privacy of our customers and clients, therefore we do not share your information with any other individuals or businesses. Durham Region Estate Sales & Services are a stress-free way to liquidate unwanted assets from a home. We offer a no- obligation, no-cost consultation in Durham Region, and we'll show you the reasons why! Don't pay for "junk" removal - we'll sell it for you! Schedule your complimentary no obligation assessment below, and PLEASE make sure your email address is correct.